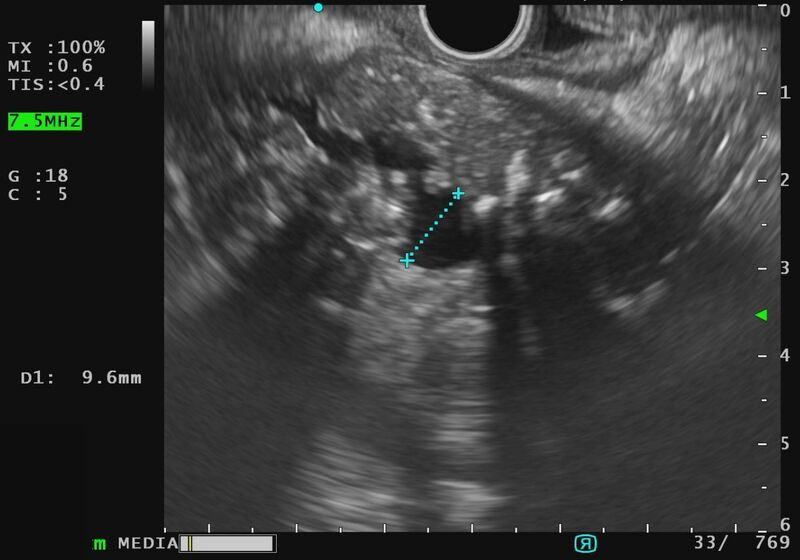 This article provides an overview of the scoring systems commonly used for diagnosing chronic pancreatitis by means of endoscopic ultrasonography (EUS), and for classifying the degree of severity of the condition. 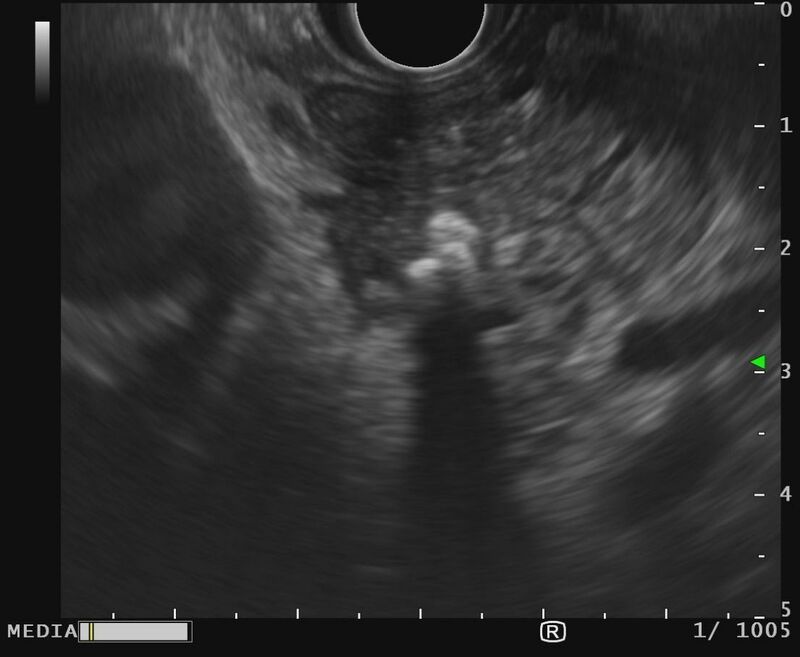 On EUS, the diagnosis of chronic pancreatitis is based on assessment of the duct and also the parenchyma. The “nine classic criteria” listed in Table 1 can be diagnosed . Intraparenchymal calcifications and pancreatic duct stones are highly specific criteria. 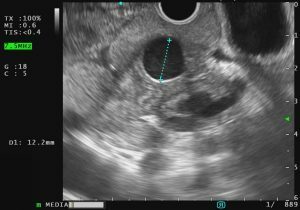 In the absence of these types of pathology, only the simultaneous occurrence of four or more of the other criteria is consistent with chronic pancreatitis . Several of the criteria may also be observed in the general population without any underlying disease in the organ . The findings are influenced by age and by alcohol and cigarette consumption. 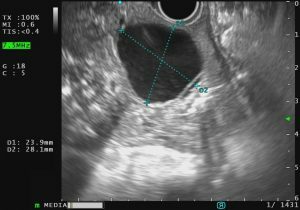 If only two or fewer criteria are present, chronic pancreatitis is unlikely . 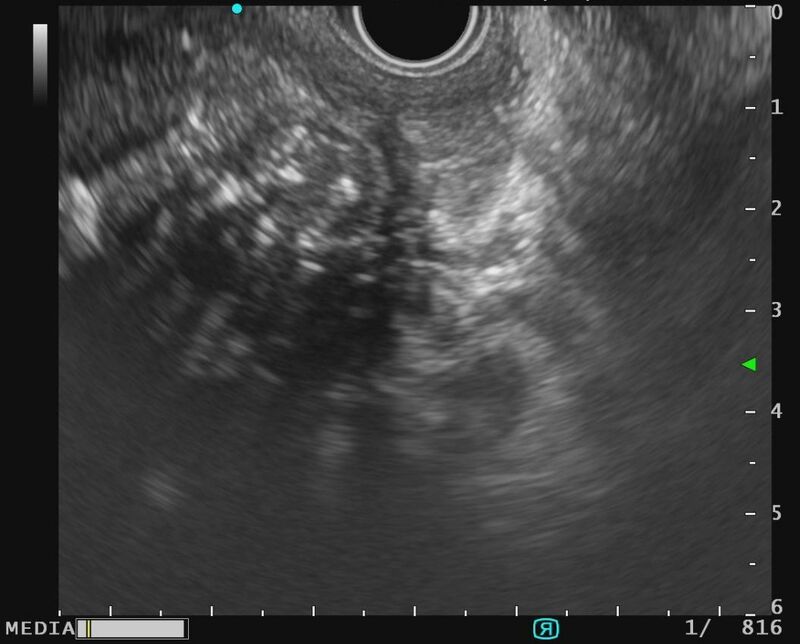 When a diagnosis of chronic pancreatitis is established using EUS, it is particularly important for the report on the findings to document each criterion tested, in order to substantiate that a complete examination has been carried out [5,6]. 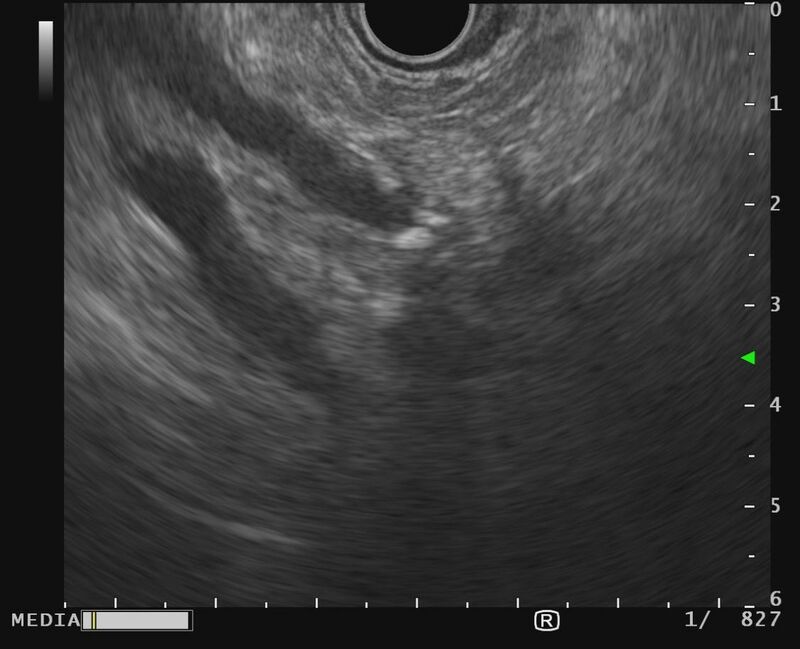 The Rosemont classification (Tables 2 and 3) is another system that is used to diagnose chronic pancreatitis with EUS. In contrast to the nine classic criteria, this system uses major and minor criteria to establish the diagnosis . Despite this weighting of the criteria, however, no benefit in comparison with the classic criteria has yet been demonstrated [8,9]. 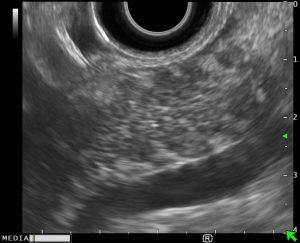 * With the exception of hyperechoic foci without acoustic shadows, cysts, dilated main duct and dilated side ducts. 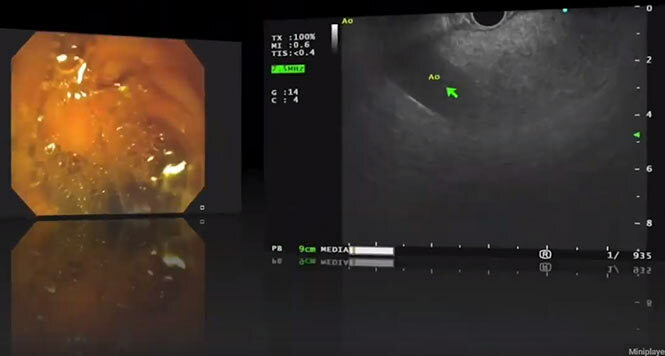 The above systems make it possible to assess the likelihood that chronic pancreatitis is present, but do not allow any assessment of the severity of the disease. The Cambridge classification , initially developed using endoscopic retrograde cholangiopancreatography (ERCP), is used to assess severity (Table 4). 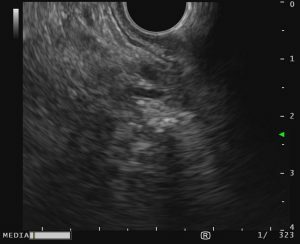 The EUS criteria used here are almost identical with the “classic criteria.” However, the ductal and parenchymal changes are not viewed separately from one another, and instead it is the combination of pathologies that is used to assess the degree of severity. Gardner TB, Levy MJ. 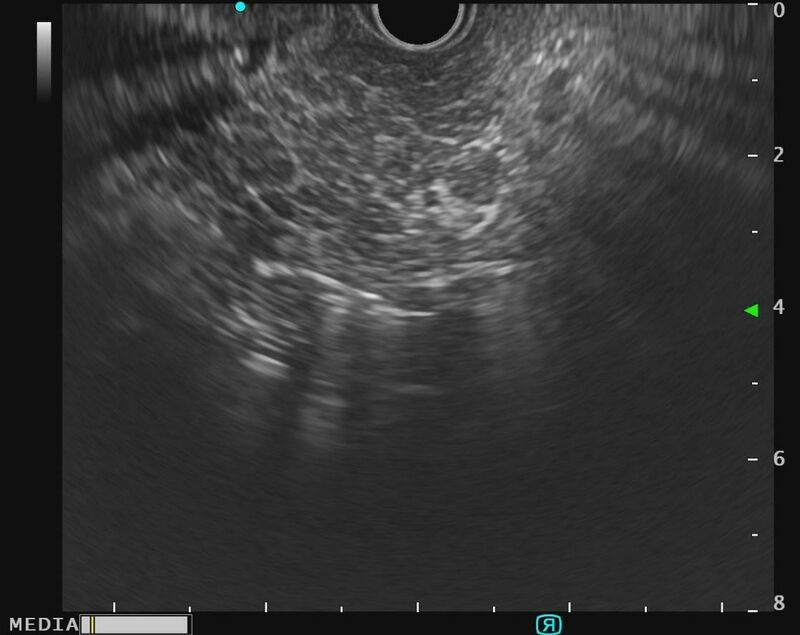 EUS diagnosis of chronic pancreatitis. Gastrointest Endosc. 2010 Jun;71(7):1280–9. Varadarajulu S, Eltoum I, Tamhane A, Eloubeidi MA. 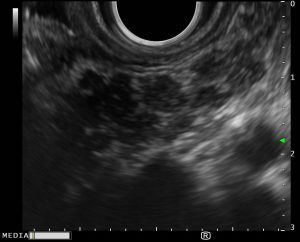 Histopathologic correlates of noncalcific chronic pancreatitis by EUS: a prospective tissue characterization study. Gastrointest Endosc. 2007 Sep;66(3):501–9. Rajan E, Clain JE, Levy MJ, Norton ID, Wang KK, Wiersema MJ, et al. 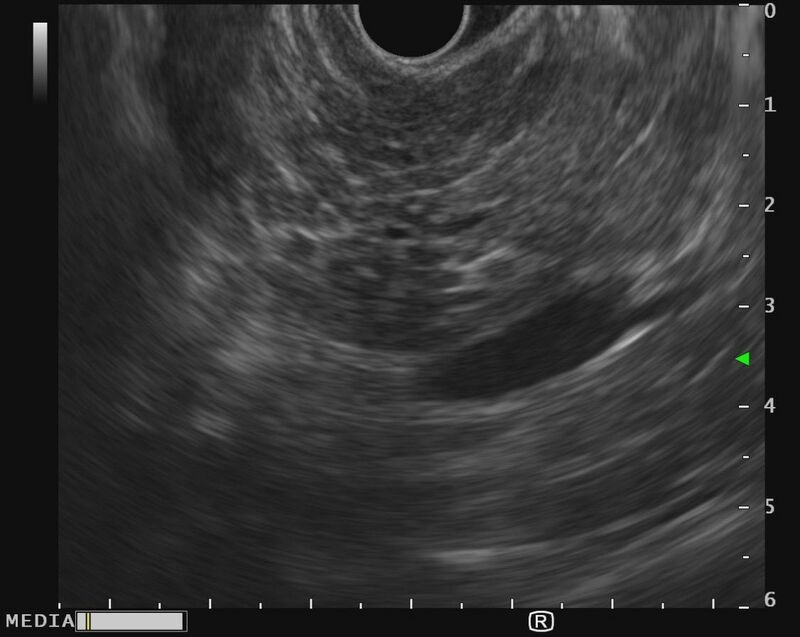 Age-related changes in the pancreas identified by EUS: a prospective evaluation. Gastrointest Endosc. 2005 Mar;61(3):401–6. Sahai AV, Zimmerman M, Aabakken L, Tarnasky PR, Cunningham JT, van Velse A, et al. 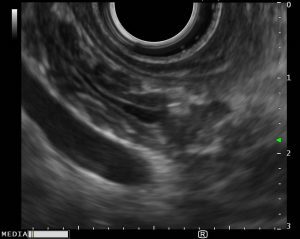 Prospective assessment of the ability of endoscopic ultrasound to diagnose, exclude, or establish the severity of chronic pancreatitis found by endoscopic retrograde cholangiopancreatography. Gastrointest Endosc. 1998 Jul;48(1):18–25. 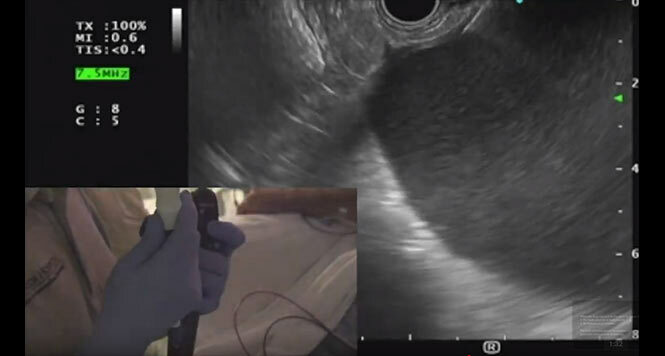 Gardner TB, Taylor DJ, Gordon SR. Reported findings on endoscopic ultrasound examinations for chronic pancreatitis: toward establishing an endoscopic ultrasound quality benchmark. Pancreas. 2014 Jan;43(1):37–40. Meining A, Schmidbaur W, Schumacher B, Toermer T, Keuchel M, Baltes P, et al. [The revised version of standard terminology in gastroenterological endoscopy – result of a consensus project of the german society for gastroenterology, digestive and metabolic diseases]. Z Gastroenterol. 2018;56(1):e1. Catalano MF, Sahai A, Levy M, Romagnuolo J, Wiersema M, Brugge W, et al. 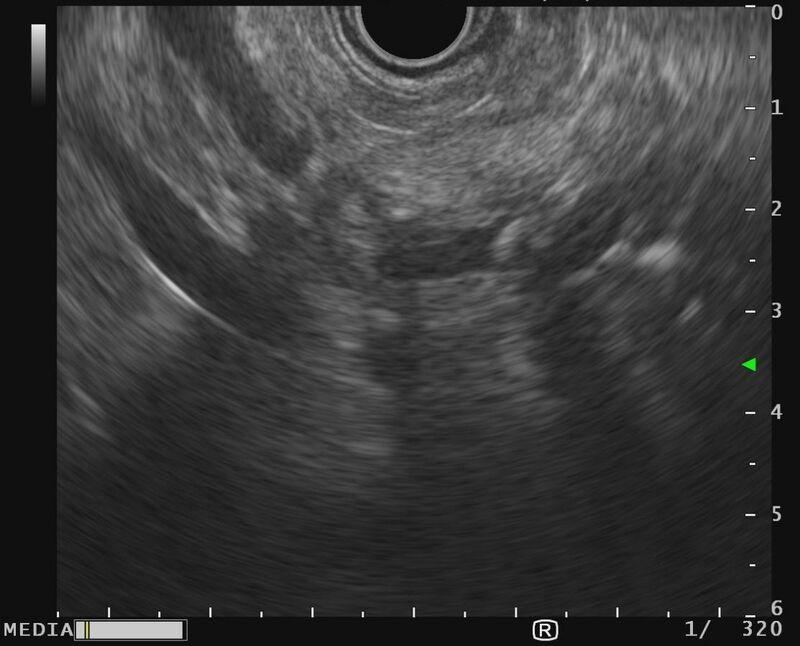 EUS-based criteria for the diagnosis of chronic pancreatitis: the Rosemont classification. Gastrointest Endosc. 2009 Jun;69(7):1251–61. Stevens T, Lopez R, Adler DG, Al-Haddad MA, Conway J, Dewitt JM, et al. 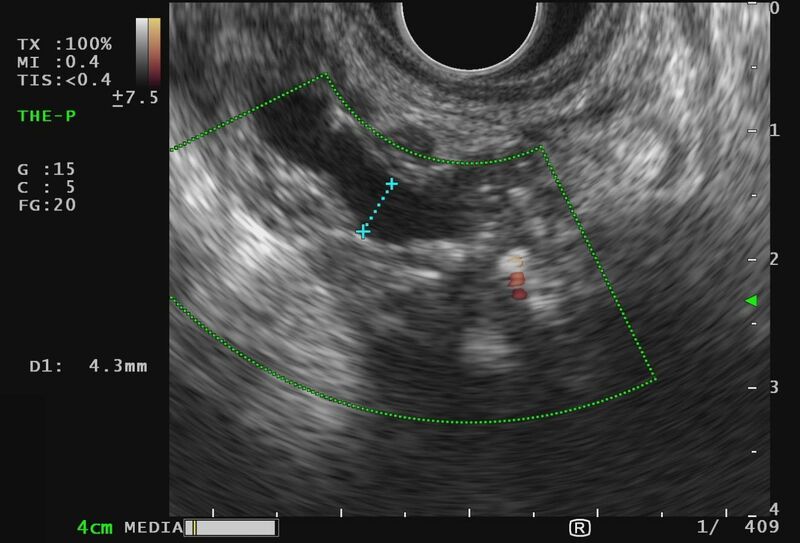 Multicenter comparison of the interobserver agreement of standard EUS scoring and Rosemont classification scoring for diagnosis of chronic pancreatitis. Gastrointest Endosc. 2010 Mar;71(3):519–26. Jimeno-Ayllón C, Pérez-García JI, Gómez-Ruiz CJ, García-Cano-Lizcano J, Morillas-Ariño J, Martínez-Fernández R, et al. Standard criteria versus Rosemont classification for EUS-diagnosis of chronic pancreatitis. Rev Espanola Enfermedades Dig Organo Of Soc Espanola Patol Dig. 2011 Dec;103(12):626–31. Axon AT, Classen M, Cotton PB, Cremer M, Freeny PC, Lees WR. Pancreatography in chronic pancreatitis: international definitions. Gut. 1984 Oct;25(10):1107–12.